iPhone users like me have always had this nightmare of the battery draining out when you are using internet either in 3G or in Wifi or on a call. But i should say that iPhone gives very good battery life on listening to songs. Whatever the reason maybe for the super fast battery drain iPhone users should always have these tips on their fingertips as they will be needing it very often due to the poor battery life of the super phone. 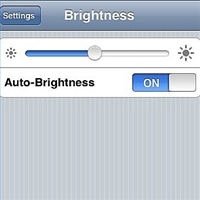 These tips are really useful when your iPhones battery meter just turned to one red bar with the battery percentage is 20% or less, which always can be seen when you need your phone the most where you would be expecting an important call or need to access the internet for some important work. So here i am going to Discuss some important Tips to increase your battery life or to let your iPhone battery last a longer even with a 20% battery. This is the basic step to increase the battery of any appliance which has a screen for example a Laptop or a Touch Phone which uses up most of the battery, so on decreasing the Brightness we can considerably decrease the battery usage and increase the battery life by a large percent. 3) Then with the help of the slider you can decrease the brightness to as much as you feel is comfortable to your without any strain. 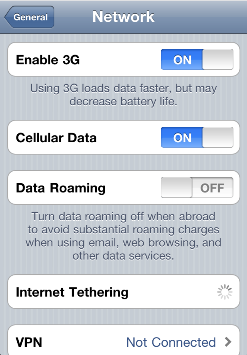 Disabling 3g option in iPhone considerably increases the battery life of your phone, as the phone uses a lot of battery power to search for the 3g signals and its usage. And if you are on the move then your phone will be constantly draining the battery out searching for the signals continuously, so if you want to conserve your battery to make it last a little longer than usual you will have to switch of your 3g. 3) Here you can see right on the top the first option will be “Enable 3g” and a button will be present beside this option allowing you to switch it On or Off with just 1 click. 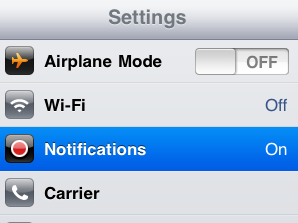 Notifications as we all know is a very useful feature which gets us informed about either Emails, Yahoo messenger, facebook and almost every other social networking App has notifications which will constantly be using your internet and battery to Notify when there are any new mails, or messages. 3) There will be Notifications option seen 3rd from the top, which also has a one click option to turn it ON or OFF, just turn it OFF and enjoy a better battery life. Because models later than the iPhone 3g i.e 3gs and iPhone 4 are having MultiTasking facility which allows the Apps to running in the background which will be ON even when you Lock your iPhone with the help of your Sleep Button. So Make sure that you close all the Applications before you Lock your iPhone. As the Apps running in the background will be utilizing a lot of battery silently without your notice. 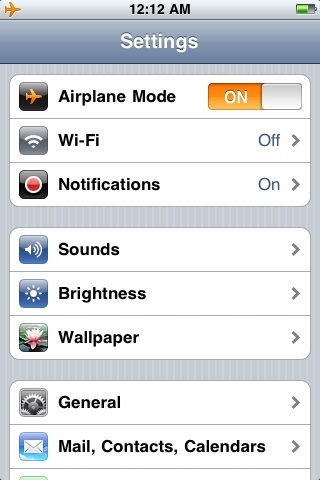 The first option we see when we go into Settings is Airplane Mode – ON or OFF, but most us don’t know what it actually means. This turns your iPhone almost into an iPod Touch and greatly helps in preserving your battery for later use. 1) When you want to preserve the remaining battery for later use. 2) When there are no important calls to be received. 3) When you are not using internet either through wifi or network. 2) When you want to access the internet either through wifi or network. Check the tips on how to increase iPhone battery life, and also increase battery life of iOS devices.